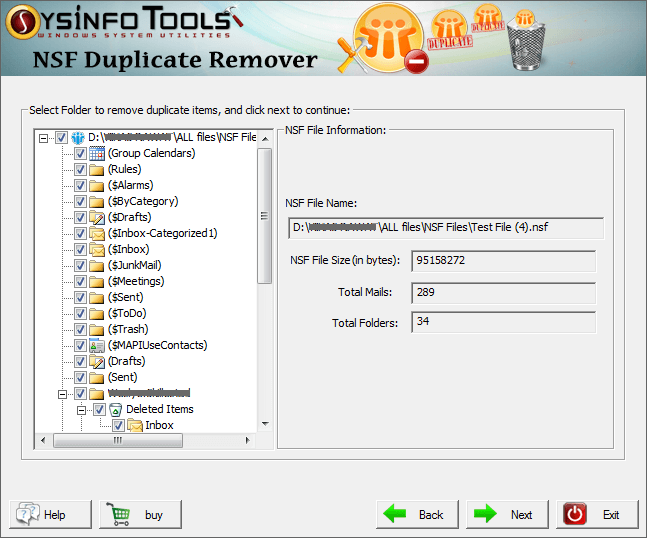 SysInfoTools NSF Duplicate Remover software provides you an easy, safe and swift way to remove the entire duplicate content from NSF database files. At a time, you can select single as well as multiple NSF database files. It can auto-detect the NSF database information, i.e. file name, file size, total number of emails and folders. It scans the selected NSF database and presents a tree-structure preview of mailbox content. Via this software, you can search duplicate items in same folder and search duplicate items across NSF file. Macrorit is attached to the importance of data safety and invent its world the first data safety guaranteed Partition Management Software which can cancel the program during the operation, power off in operating and other similar damages. 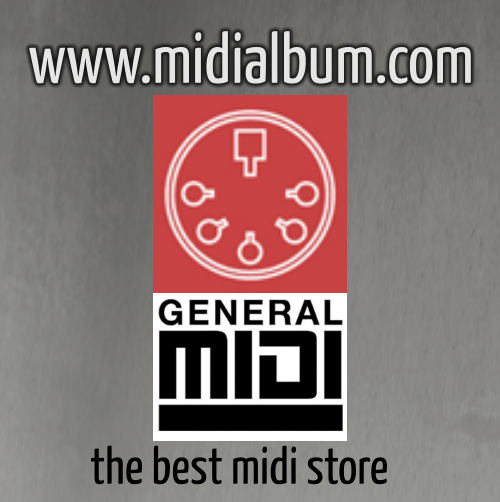 Feature List: 1. Under windows platform, any operations can be canceled anytime. You can cancel the command anytime, and restore data to previews status. 2. If there are some issues like power shortage and other similar damages may concern your data, Macrorit Disk Partition Expert software will help you restore the data without any data lose in 1 second. That is the most effective way to protect your most important enterprise and personal data. 3. Maximum performance of file system in operation, whatever how many the disk fragmentation is, after the finish the copy process, the new disk partition will have zero disk fragmentation. While resize and move command will automatically optimize the disk fragmentations, your file system will have best performance. 4. Obtain the best data moving algorithm, 300% faster than normal software with lesser CPU resource. Forgot your iTunes backup password? Free iTunes Backup Unlocker is the solution to find your password back. Supports iTunes backup for all iOS devices, all types of iPhone, iPad, iPod touch. Its powerful decryption technique, three decryption methods, enables you quickly retrieve iTunes backup password without any damage to your backup data. Fix disabled/frozen/bricked iPhone to normal condition. Get your iPhone out of recovery mode, DFU mode and red/black/white/blue screen of death. Tipard iOS System Recovery provides you all solutions to fix disabled, frozen and bricked iPhone to normal, or fix iPhone stuck in recovery/DFU mode or red/black/white/blue screen. February 23, 2017 SoftwareNewSoftwares.net, Inc. Cloud Secure is developed according to the practical needs of average cloud users. It’s simple, easy to use interface enables virtually anyone to lock their cloud accounts on their PC in just a few seconds. Why Cloud Secure? 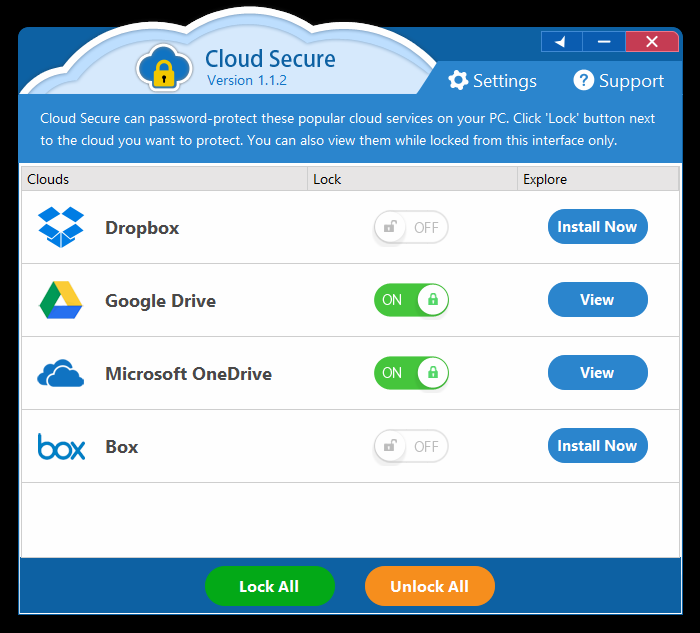 Keeping your data on popular cloud storage companies like Google and Microsoft can be very secure but on your pc still has no security to stop prying eyes from accessing your private and confidential files that are your cloud storage account, this is why you need Cloud Secure, with our software you can add a layer of security that you won’t get from any other software, Password protect all your cloud drives with Cloud Secure with just one click and throw all your worries away! Abonsoft ID Photo Maker can help you to diy your ID photos eaisy! you can then print the ID photo by very low cost.